Bronchiectasis is a form of progressive, chronic pulmonary obstructive disease in which the walls of the bronchial airways to one or both lungs become enlarged, infected and permanently damaged. While some causes of bronchiectasis are either congenital - due to a genetic defect, like Cystic Fibrosis or Primary Ciliary Dyskinesia and may already arise during fetal development or in infants and young children - far more common are cases acquired by older children or adults after recurrent infections of the lung or heavy smoking. Damaged lungs are less able to clear mucosal secretions, so mucus may congest in airways, allowing bacteria to thrive there, and in turn causing additional problems. Symptoms of Non-cystic Fibrosis Bronchiectasis (NCFB) include: shortness of breath and persistent coughing. At present, there is no known cure for this condition, but research is underway to help better understand their causes and identify more effective treatments. 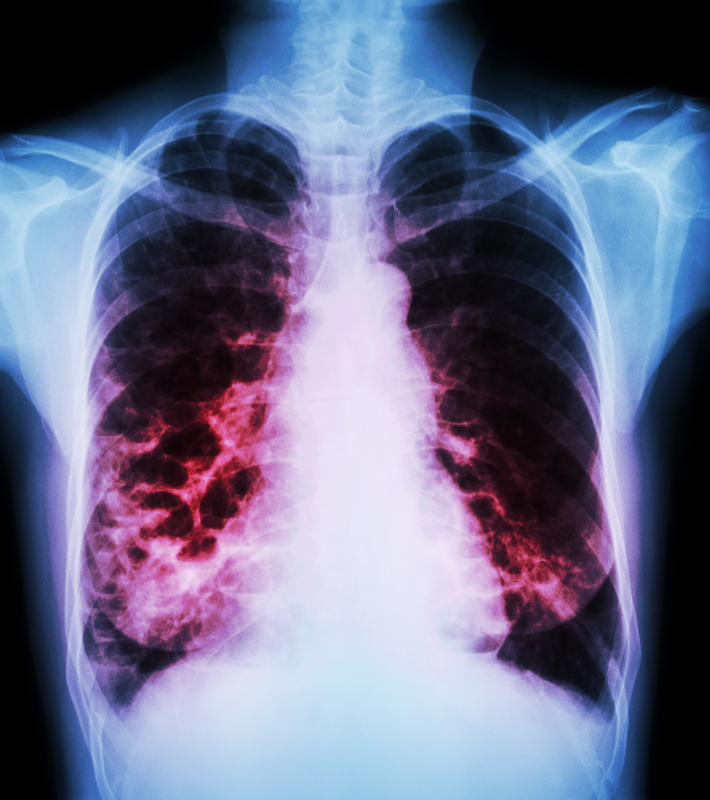 Nontuberculous mycobacteria, or NTM, can cause devastating chronic lung infections. NTMs are naturally occurring pathogens which impact tens of thousands of people every year in the United States alone. The bacteria are widely found in the environment, including soil and tap water. Underlying pulmonary problems and prior pneumonia are but a few risk factors. COPD and bronchiectasis as well as a number of genetic diseases including Cystic Fibrosis and Alpha-1 Antitrypsin Deficiency have a statistically demonstrable link with NTM. Immunosuppressive medications such as chemotherapy, prednisone, or drugs used to treat conditions such as Rheumatoid Arthritis, psoriasis and Crohn’s Disease, may increase the risk of NTM infection. Treatment for NTM lung infections is lengthy and difficult, involving a minimum of three antibiotics for at least 18 months. These antibiotics can be taken in oral, inhaled or injectable/intravenous form. The COPD Foundation has been working closely with the NCFB and NTM communities to address their unique needs. In response to the NCFB and NTM communities’ request for an online global community dedicated to their unique topics, the COPD Foundation will soon be launching BronchandNTM360social. BronchandNTM360social will be modeled after COPD360social, the COPD Foundation’s online community for COPD patients, caregivers, and healthcare providers. BronchandNTM360social will have features such as an activity feed, user messaging, questions and answers, gamification, and more. The COPD Foundation is pleased to partner with NTM Info and Research on this important endeavor. The COPD Foundation has been dedicated to the needs of the NCFB and NTM community since 2008 when the COPD Foundation’s Bronchiectasis and NTM Research Registry was initiated to address the critical, but unmet needs of the NCFB community. The COPD Foundation’s Bronchiectasis and NTM Research Registry was developed by a consortium of physicians from 13 academic medical centers across the U.S. A primary goal of the registry is to accelerate research and improve therapies for NCFB and NTM patients. Recently, the Bronchiectasis and NTM Research Registry was used to assist with recruitment into RESPIRE 1 and RESPIRE 2 trials whose purpose is to evaluate if the time to first pulmonary exacerbation of bronchiectasis or its frequency can be prolonged by inhalation of ciprofloxacin. It was also used to assist with recruitment in the ORBIT 3 and ORBIT 4 trials whose purpose is to evaluate how safe and effective Pulmaquin is in the treatment of people with NCFB and chronic lung infection. Currently, the Registry is being used to assist with the recruitment of NTM patients in the CONVERT trial which is designed to evaluate an investigational medication [Liposomal Amikacin for Inhalation (LAI)] in adult patients with NTM lung infection caused by Mycobacterium Avium Complex (MAC), who have not experienced success with previous treatments. If you are interested in learning more about this trial, please visit www.ConvertResearchStudy.com . Additional information on the COPD Foundation’s Bronchiectasis and NTM efforts are available at www.BronchiectasisandNTMInitiative.org. We are very excited to be able to offer this resource to the NCFB and NTM communities and we encourage you to join the BronchandNTM360social community.